The automotive industry is a strategic sector for the Romanian economy. In 2016, the manufacture of motor vehicles and other transport equipment (which includes the production of both vehicles and car components) generated 3% of total gross value added in Romania and constituted 2.7% of the country’s GDP. Romania is home to the production of passenger cars by two big players – Renault, which owns Dacia, as well as Ford. The country is the 10th largest passenger car producer in Europe. The bulk of the production is exported and the automotive sector accounts for more than 25% of Romania’s total exports. In 2017, Dacia was the largest Romanian exporter, while Ford ranked fourth. In 2017 the automotive industry was the Romanian economy’s biggest employer, giving jobs to 183,000 persons and representing 4% of total employment. 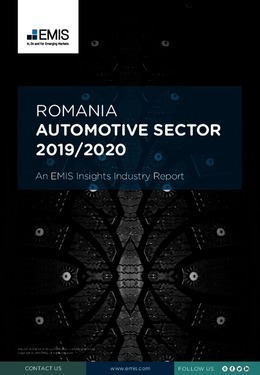 This report provides a complete and detailed analysis of the automotive sector for Romania. EMIS Insights presents in-depth business intelligence in a standard format across countries and regions, providing a balanced mix between analysis and data.